When it comes to versatile, widely available, and affordable Italian wine, Castello di Volpaia sets a standard. The winery’s 2016 Chianti Classico is listed in almost 100 stores on the pro version of Wine-Searcher, with good distribution across the United States. And that’s fortunate, because this $20 wine is a top Chianti Classico at this price from the stellar 2016 vintage. Volpaia is centered in a fortified medieval village of the same name dating back 900 years in the heart of the Chianti Classico region. It’s now pretty much a company town, with most of the historic buildings owned by the winery and devoted to its production. Within the village, Castello di Volpaia farms 114 acres of vineyards using certified organic methods. 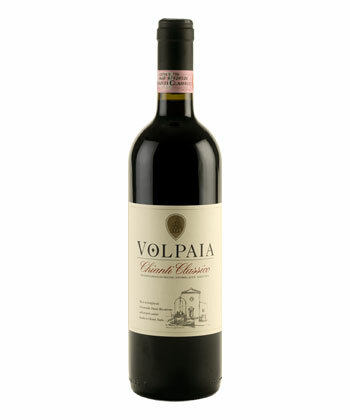 Its Chianti Classico is made from grapes from 10 different vineyard plots. The blend is 90 percent Sangiovese, the signature red variety of Chianti and Tuscany, and 10 percent Merlot, which I imagine is used to soften the wine a bit. The result is a quintessential Chianti Classico, medium-bodied and fruity with fresh cherry, raspberry, and blueberry notes, along with nice hints of cedar and tobacco. Chianti Classico, the most prestigious appellation in the Chianti zone, is one of the most versatile food wines, a natural accompaniment to tomato- and meat-based sauces with its high acidity; and I can easily see Castello di Volpaia’s wine with grilled and roasted meats. There is something familiar and satisfying about a wine like this, which is why I find myself going back to Chianti Classico time and again. Castello di Volpaia’s wine make it easy.